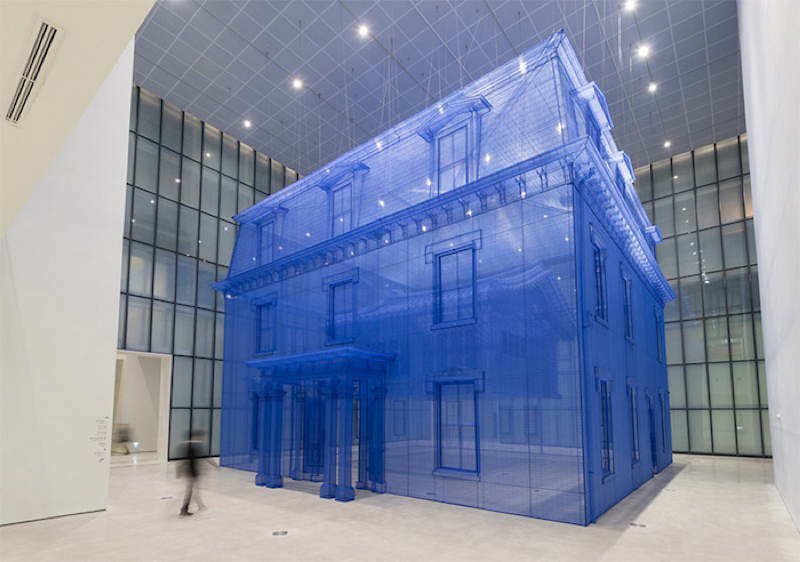 Utilizing silk thread to recreate the structures that give shape to our lives, Do Ho Suh's fabric installations challenge our conceptions of the home. 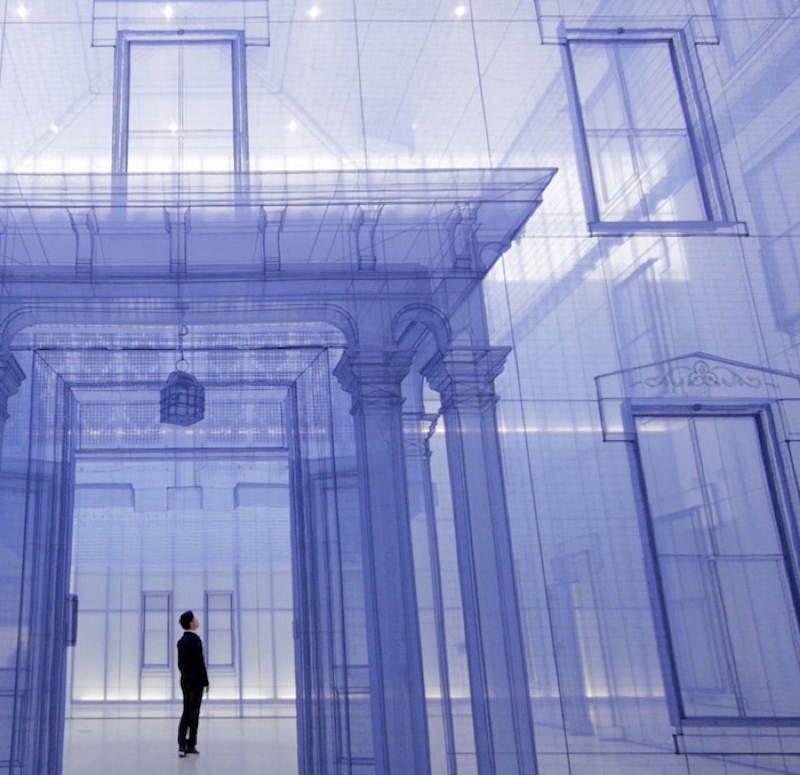 Traveling through the major modern metropolises of our world, Korean artist Do Ho Suh has recreated his own heart’s keeper in the form of silk-constructed homes. Representing memories of his prior residences, the colorful installations span all the way from Suh’s childhood to his adult life. 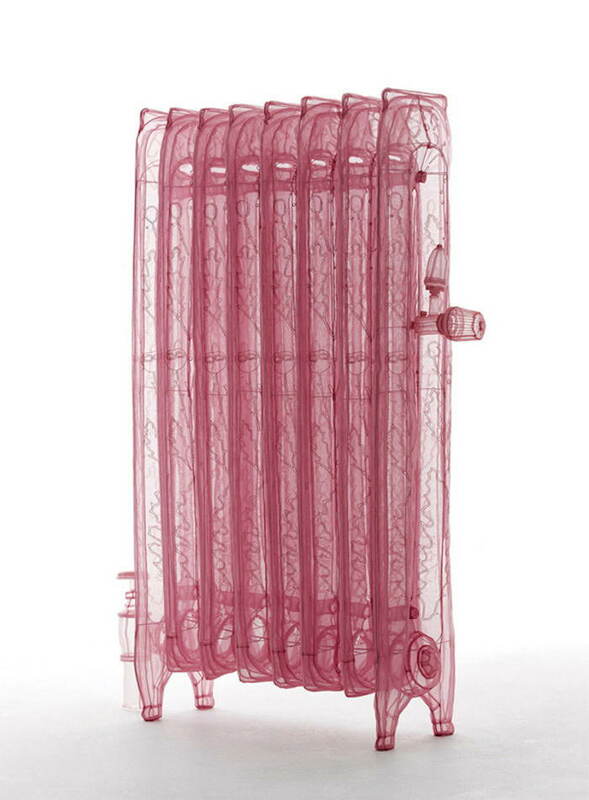 Suspended from the ceilings of museums and art galleries, his works bring the concept of “carrying a space in a suitcase” to life. 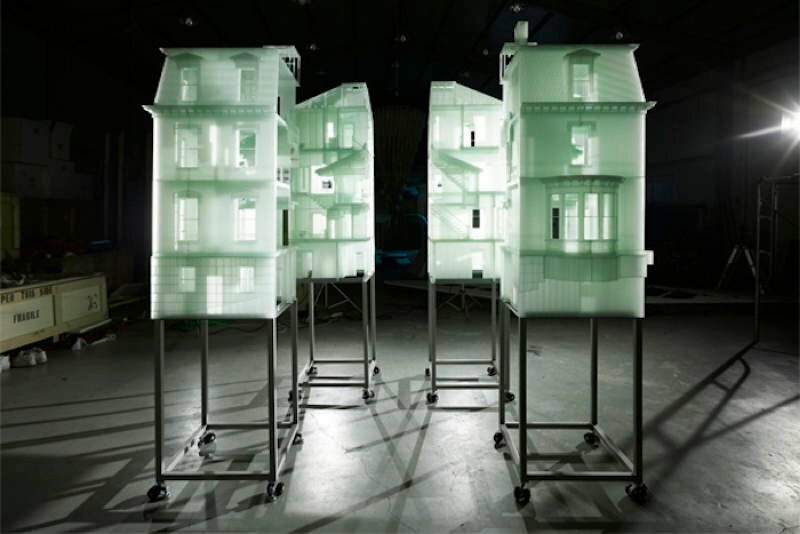 Do Ho Suh’s most impressive artwork to date, the lengthily titled ‘Home Within Home Within Home Within Home Within Home’, stands at a staggering 12 x 15 meters as a towering translucent replica of his first solo home in Rhode Island. Lovingly stitched and sewn together, there’s a little more to the silk sculpture than first meets the eye. Take a stroll inside the entrance hall and you’ll find Suh’s childhood home suspended in the center. Evoking the emotions that grow and ensconce themselves within four walls, the installation featured at MMCA Seoul stands at 1:1 scale – a feat made possible by 3D scanning and hundreds of hours work. It’s just the latest in a long line of projects which seek to explore the concept of personal space and our inexplicable desire to remember our deep yet—as the sheer fabric conveys—fleeting roots. 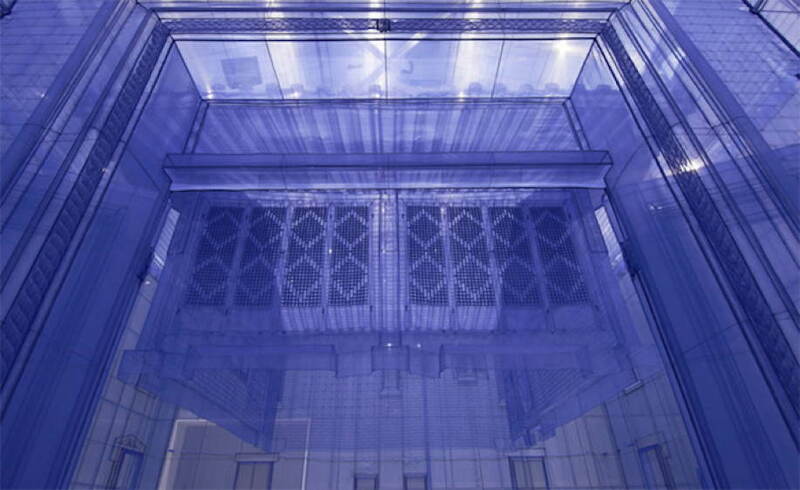 Well versed in the art of traditional painting, Do Ho Suh packed up his paintbrushes after graduating from Seoul National University and sought out sculpting in the States, where he relocated to New York and began stitching and sewing his own homes. Transitioning from one country to another wasn’t easy for the artist, particularly as a minority. 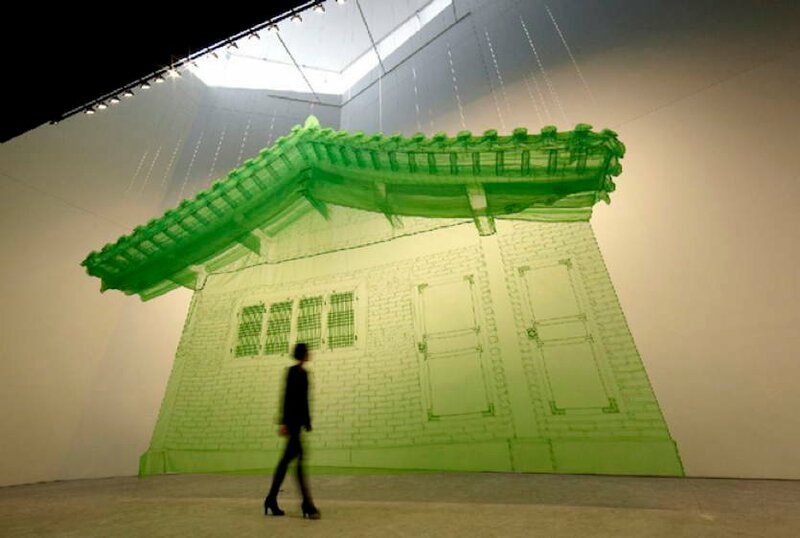 In fact, the cultural dissonance between his homeland and the USA inspired many of his early works, including his foldable fabric ‘Seoul Home / LA Home’ project. Speaking to Art21.org, he said: “The experience was about transporting space from one place to the other—a way of dealing with cultural displacement. 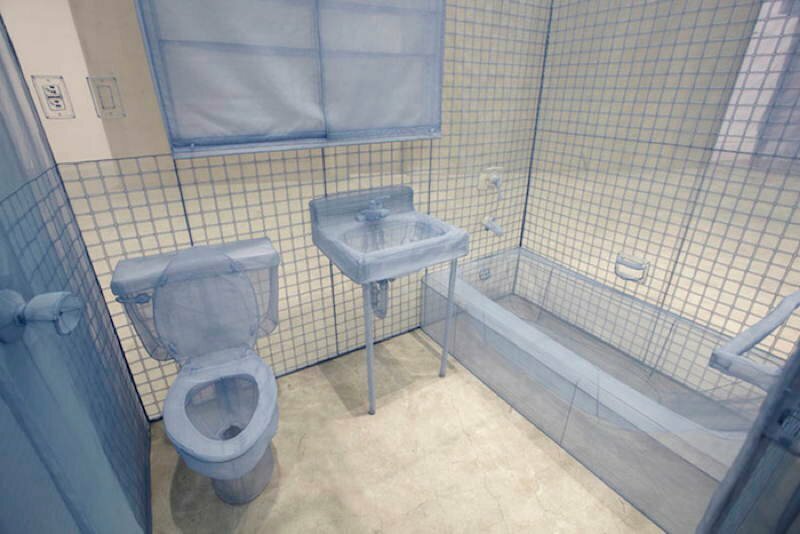 I don’t really get homesick, but I’ve noticed that I have this longing for this particular space, and I want to recreate that space or bring that space with me wherever I go.” Years before he had the money to take his vision to scale, Do Ho Suh tested the distilled idea in his studio. His inspiration grew from there, and so began the journey to pinpoint the ‘Perfect Home’. 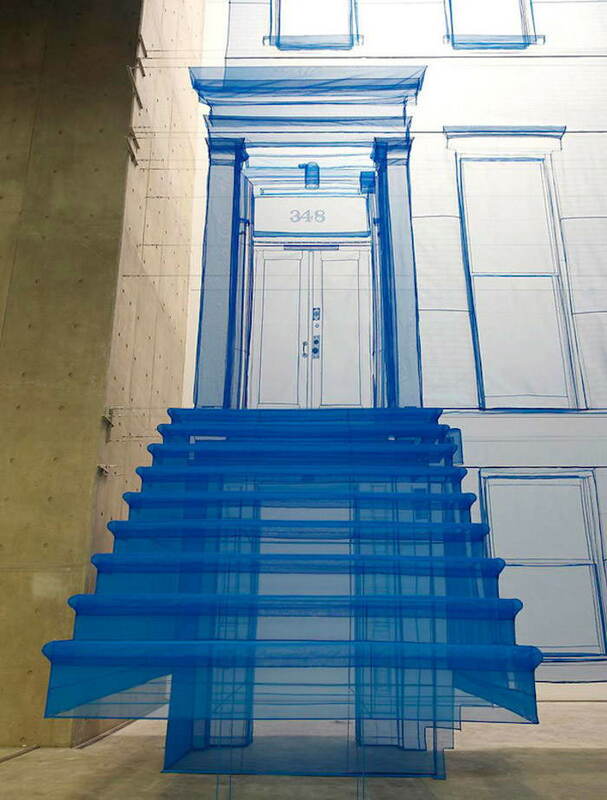 Going on to hang his homes in the Japanese Contemporary Art Museum, in 2013 Do Ho Suh recreated a full size fabric replica of his private residence among other inspired installations. Suh’s work challenges viewers to see how one’s definition of the home evolves and is largely shaped by specific cultural contexts. 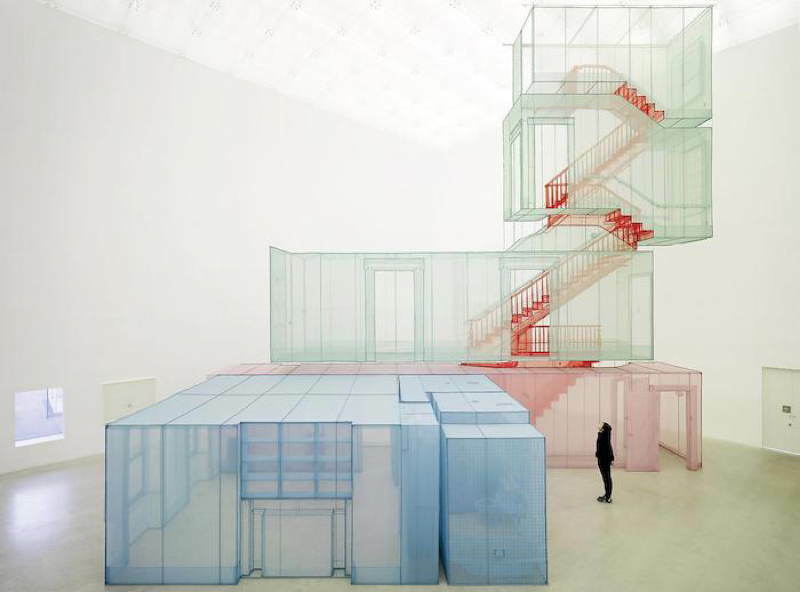 Alongside the life-size silk sculptures of his own abodes, Do Ho Suh constructed cut-away sections of a modern mansion, a miniature moving house and what looks like a fabric fire escape. 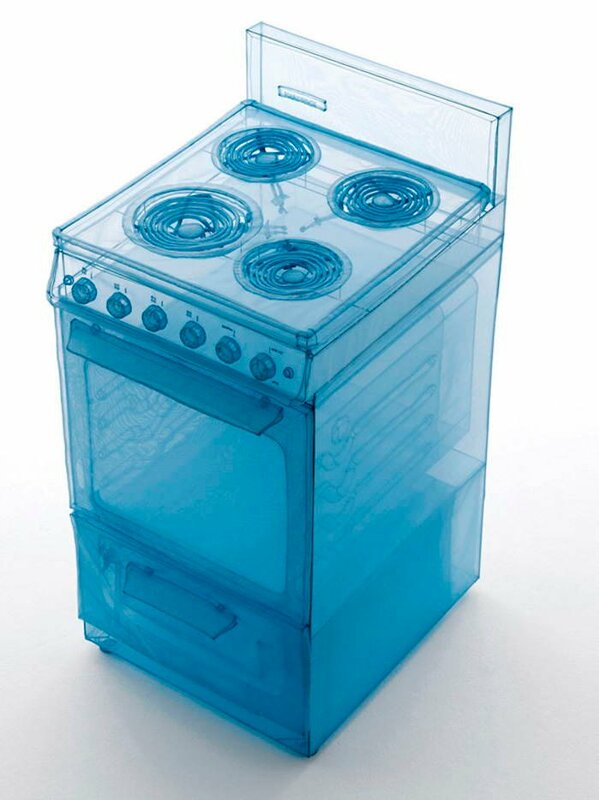 He even crafted cloth counterparts for the everyday appliances we might find round the home. 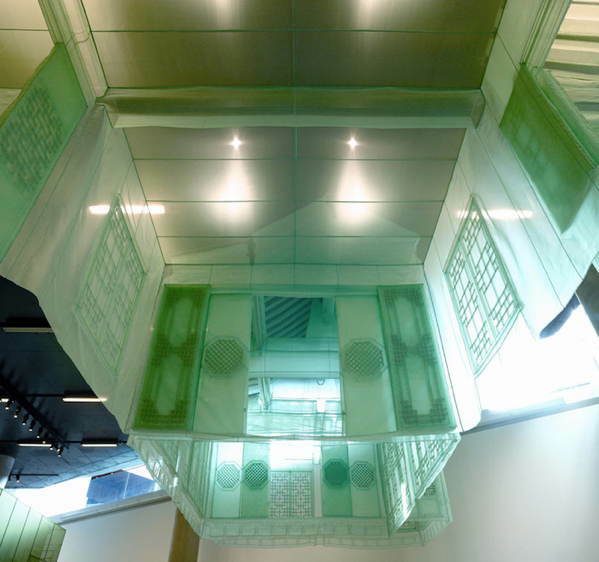 What makes Do Ho Suh’s works truly remarkable is the sense of community and collaboration that is woven throughout his projects. 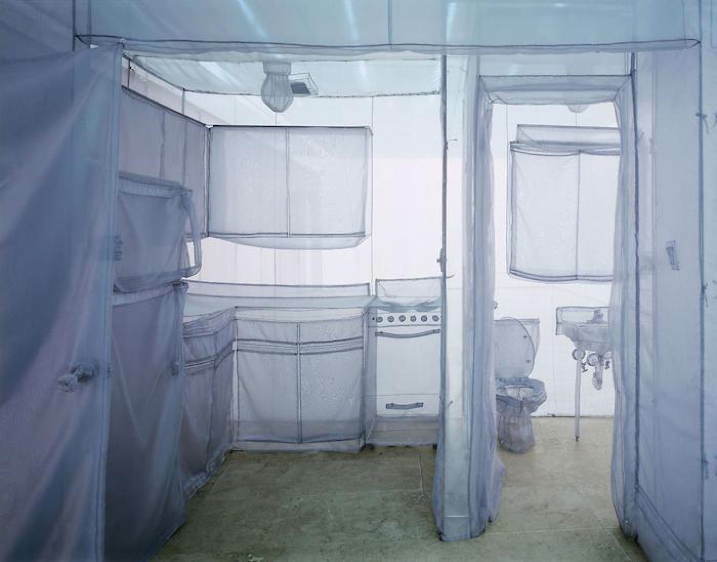 From a group of nationally treasured pensioners who taught him how to sew the intricate seams of many of his works, to his mother’s touch on finding the right fabric, Do Ho Suh draws on the strengths of those around him to create his packable palaces. 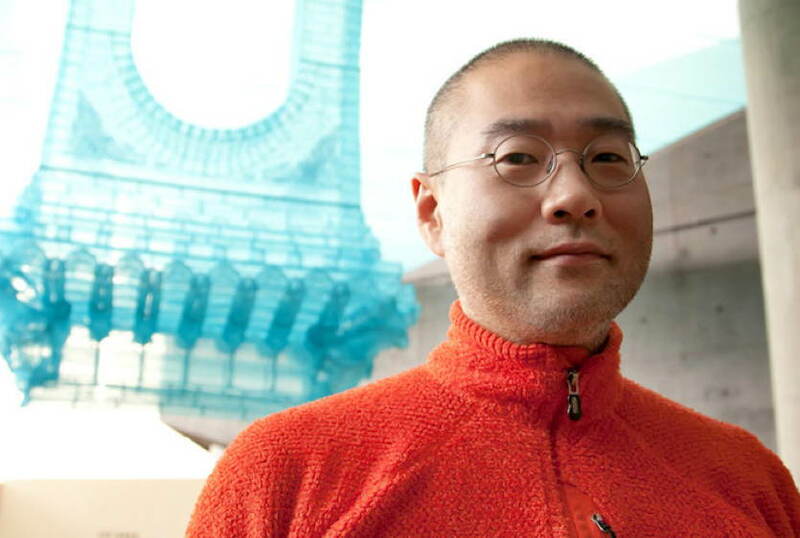 The mixture of many traditional South Korean techniques with Western advancements in 3D modeling allows Suh to construct such works, proving that “home” is not lost with movement. 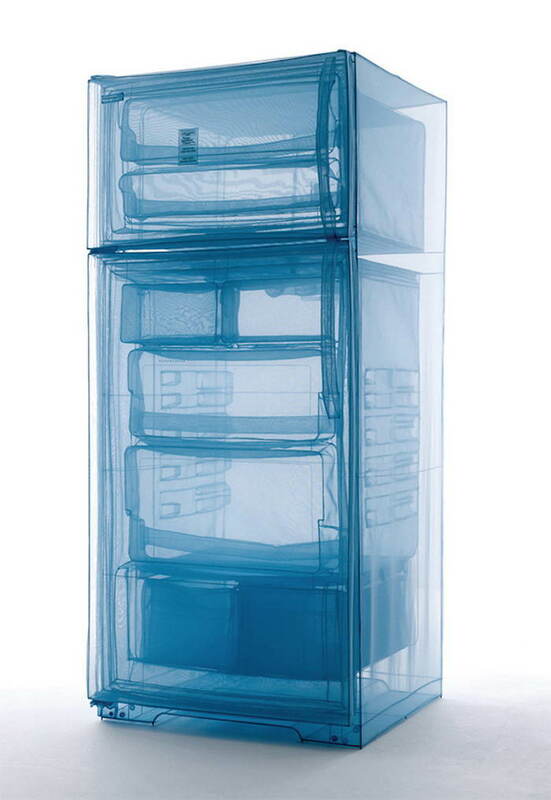 Rather, home is whatever you make it.